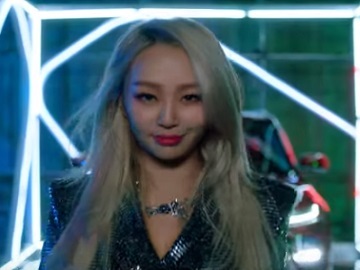 South Korean singer-songwriter Kim Hyo-jung, better known by her stage name Hyolyn, has teamed up with Kia Motors to advertise the all-new Soul X Hypebeast. The K-pop sensation stars in a new commercial for the automaker’s upcoming Soul, set to arrive this spring. Dressed in a sparkling mini dress, the blonde takes the Sould X Hypebeast for a night drive through the city streets and poses in front of the camera sitting on the hood. The all-new 2020 Kia Soul made its debut at the 2018 Los Angeles Auto Show. From the all-new GT-Line trims featuring an available turbocharged engine, unique styling, and available center exhaust, to the all-new rugged looking Soul X-Line, the upcoming Soul comes with a completely redesigned exterior and interior, as well as with all-new high-tech features. A 10.25″ touch display, an 8″ color Head-Up Display, showing your vehicle speed, navigation directions, select Kia Drive Wise alerts and more, Harman Kardon premium audio system with sound reactive ambient lighting, heated seats and steering wheel, Qi wireless charging pad, an expansive cargo area, 60/40 split-folding rear seats and dual-level cargo board are only some of the key features of the Soul.